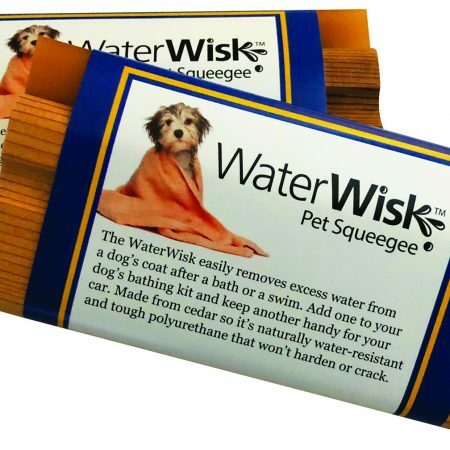 Our groomer suggested this product to use for carding our dog. 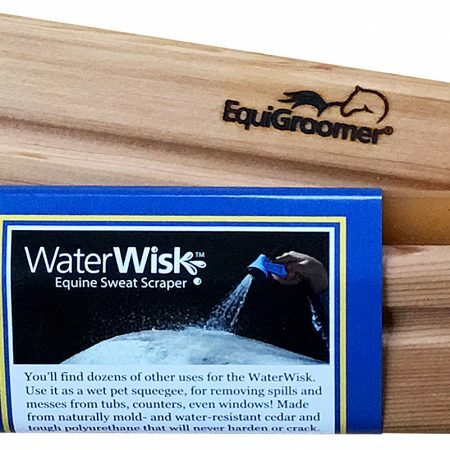 We received the 5-inch Equigroomer last week and already love it! We have raked SO MUCH undercoat off our Giant Schnauzer puppy. Her coat now looks and feels so much better. 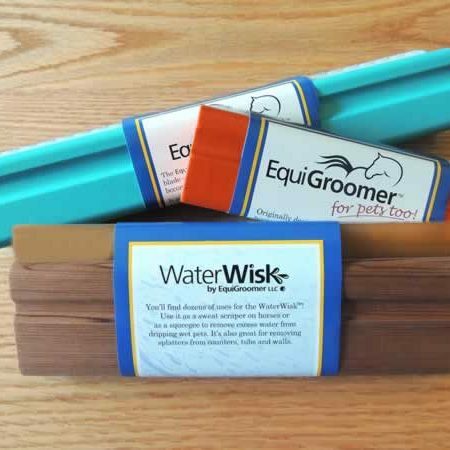 This grooming tool is definitely a game-changer. Divania, thank you for the great review and please thank your groomer for the suggestion! 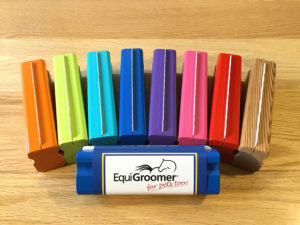 The EquiGroomer works great on dogs like your Schnauzer puppy because it removes the fluff without damaging the unique top coat. Best wishes to you and happy grooming! 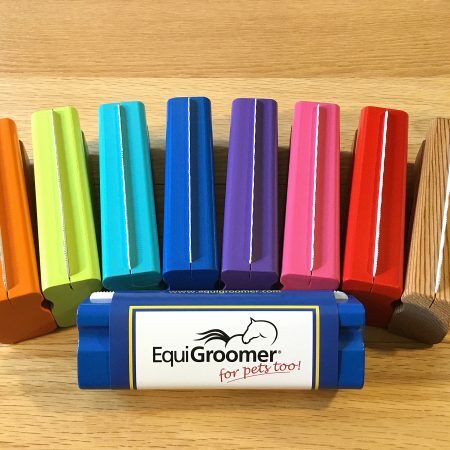 Just got my equigroomer in the mail. Used it immediately on my Boxer, and it does not disappoint. With other brushes i’ve always had to be quite aggressive in brushing her in order to get the hair out. With the equigroomer i barely had to touch her and the hair was coming out easily. I just received the 5 inch Equigroomer for my boxer. I works wonders on him, I couldn’t believe how much under coat a boxer really has. This comb is gentle on the coat and it gives you better results then the Furminator. 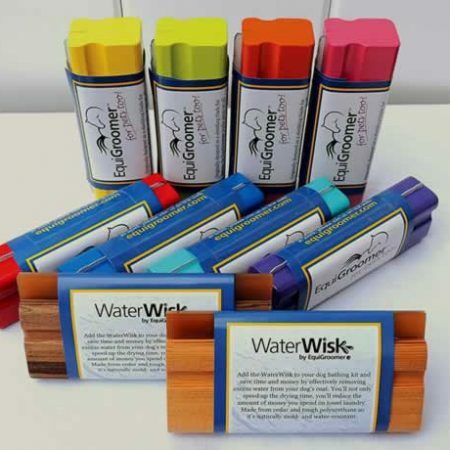 I just purchased three EquiGroomers, two small and one large, for myself and my two daughters. I opened the parcel and immediately used it on my 6 pound chihuahua, who sheds like crazy! I couldn’t believe the amount of hair that came off of her! It obviously doesn’t hurt at all. She remained perfectly calm and relaxed through the whole grooming. Her coat has never looked this smooth! I can hardly wait for my girls to try it on their dogs! The neighbour says she is ordering three of them for her pets now that she sees how well they work! I can safely say it’s the best grooming tool I have ever purchased. I am cleaning out my grooming bucket and getting rid of all the other tools I’ve bought. Thank You EquiGroomer! Our vet used one on our dog, removing a ton of hair. We had to get one. It works well on our cats too, keeping shedding on chairs to a minimum. Running a rabbit rescue, we decided to try it on our bunnies. They love being groomed. 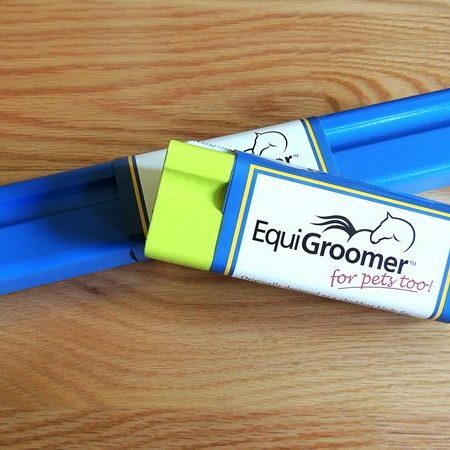 The EquiGroomer removes a lot of hair, leaving the lionheads looking less scruffy, and all of them looking well groomed. 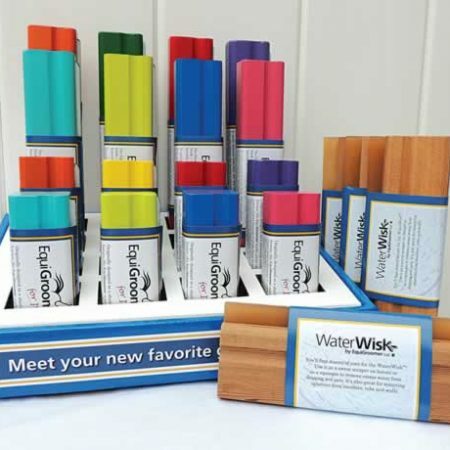 This simple tool is amazing! It works great on dogs that don’t normally enjoy being brushed. My dog loved it! I can’t wait to use it at work on groom dogs. I’m telling everyone about how great it is. I brushed my Bavarian Mountain Scenthound and I could not believe how much undercoat came out. And he was done with Furminator all over just 2 days before. Really nice piece of grooming tool! As a groomer I use it myself and recommend to my customers. love this! i got the 5 inch for my little Yorkshire Terrier. she absolutely loves this thing. i would recommend it for anyone who loves their pet and would do anything for them. this works way better than a Furminator and is way cheaper too. besides a horse i would recommend this for a dog or cat. i would say the 5 inch works better than a 9 inch. my friend got the 9 inch for her cat and her golden retriever and she said she had some trouble with it because it was too big so i got the 5 inch for her birthday and she said it was amazing. i would recommend this to anyone especially people who live on a farm. Simply amazing! If you have a furry pet you should purchase this NOW! The Equigroomer works wonders on my dog that no other brush could. My cat loves it as well and I could not be happier about my purchase! Wow!! 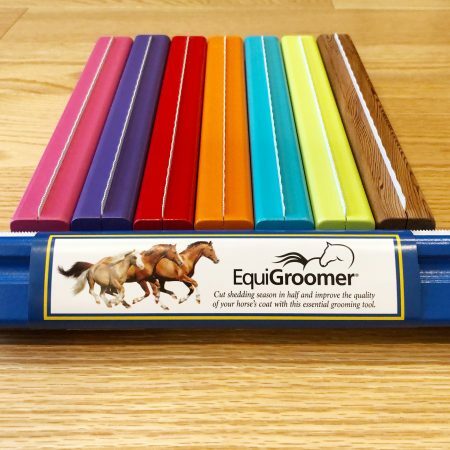 At my daughter’s suggestion (she’s a dog groomer), I purchased a 5″ Equigroomer to use on our 3 house cats. I just received it today, and I’m stunned – all 3 of our cats just LOVE being groomed with it… even our ultra-shy former feral who’s still somewhat human-shy and won’t sit still for any other kind of grooming tool. Thank you very, VERY much!! I saw a video on Facebook and read the reviews that it worked for dogs too. I have a Black and Tan coonhound that sheds like crazy. I ordered the small tool for her, and I LOVE it. She hates being brushed, so it’s always been a fight to do it, but she actually didn’t want me to stop when I used the EquiGroomer. 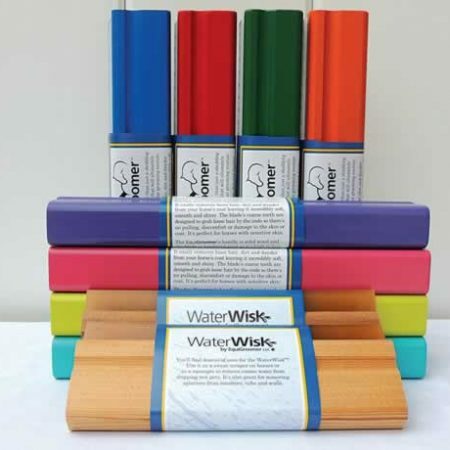 Thank you for a great product!